Find below an index of all Mercedes Gen-In site posts. Please browse the index or use the search function to find content of interest. Mercedes Sprinter NCV3 sliding door handle woes. Mercedes Sprinter T1N – Front towing / lashing eye failure. Mercedes Vito W639 Parking Brake – WARNING! – Don’t adjust the shoes without INSPECTING THEM FIRST !! My Mercedes W210 E320 CDI has taken a bash ! Purchasing a used Mercedes Sprinter diesel engine. Rear Suspension Refresh (R129) Mercedes SL & (W124) – A Wandering Star! 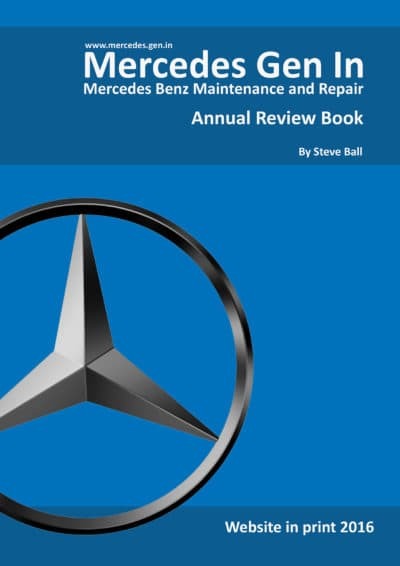 Steering Damper Fault – Mercedes SL (R129) and others. VW Crafter CR35 Tappet Clicking Noise – Or is it? W211 Wheels on W210 E Class – Do they fit ?